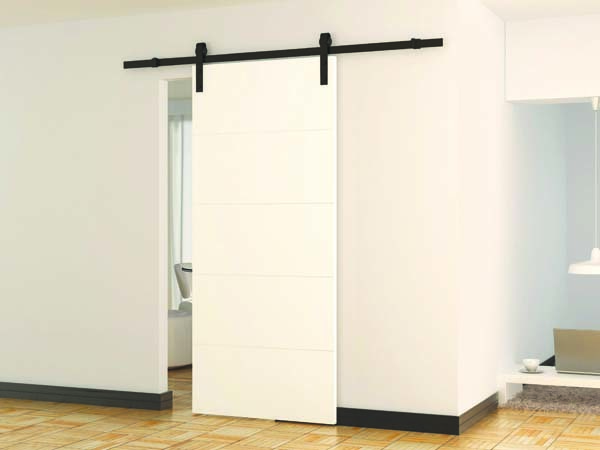 Cowdroy’s new Exposed 90 Sliding Door Set is designed to add a special, sleek touch to the home or office. Incorporating a stylish industrial look and smooth functionality, it will modernise ordinary looking doors and doorways. Featuring robust steel components combined with large, high density rollers, this system is not only smooth and effortless to roll, it is extremely quiet in performance making it an ideal all-rounder for bathrooms, ensuites, laundries, bedrooms and hallways. Available in a choice of full Stainless Steel or Powder Coat Black mild steel, the Exposed 90 system comes in a complete boxed set including all the hardware components, track and fittings for one door up to 1220mm wide.